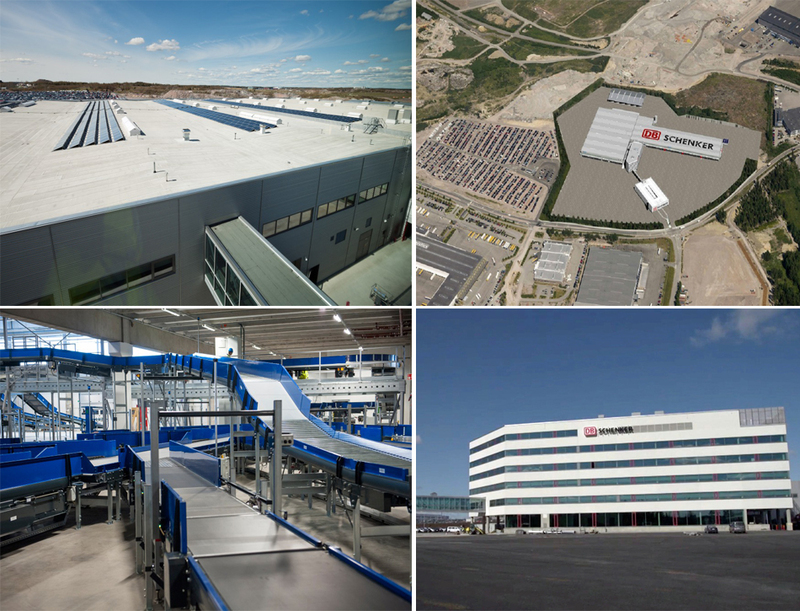 57 Million Euros is one of DB Schenker’s biggest single investments worldwide. DB Schenker Logistics will open one of its largest and most modern terminals on the third of June in Finland. The new location, near the capital of Helsinki, represents one of the largest investments that DB Schenker has made worldwide at 57 Million Euros. “Combining four locations and operations such as land transport, air, and sea freight in one building will improve our efficiency and productivity and streamline our cargo flows between the different transport modes,” says Dr. Karl-Friedrich Rausch, CEO and Chairman of the Board of Management, Schenker AG. The new premises will house 650 employees in the Viinikkala logistics area within 51,000 square meters. The warehouse will offer 31,940 square meters of storage, including 28,630 square meters of heated buildings and an unheated hall of 3,310 square meters. “The new location has various advantages,” adds Dr. Rausch. “It is near the airport, closer to the harbor than before, and it has a better connection to the road network.” The terminal also has one of DB Schenker’s biggest sorters – 35,000 to 40,000 deliveries will be processed per day. Part of the DB Group’s 2020 strategy, Environmental Protection was central to the planning of the new facility. The terminals were built according to TAPA A requirements (Transported Asset Protection Association) and they follow the standards of BREEAM (Building Research Establishment Environmental Assessment Method) at both Good and Very Good levels. For example, solar energy will be used to recharge the batteries powering the forklifts. In addition, only the highest safety standards will be observed. A two-floor concept ensures that pedestrians and trucks are never on the same level.